With some sporadic forays into painting as a newly adopted hobby, it was a stroke of luck that my sister found an easel in the waste room of her apartment building. Whilst it was missing a leg, it did present another great opportunity to try my hand at functional 3D printing. The first two I 3D printed, whilst the new leg was cut on a laser allowing for a nicely rounded end and precision hole, but could also easily be cut by hand using a jigsaw. I based the design around fixing the mount where the original mount had previously been. 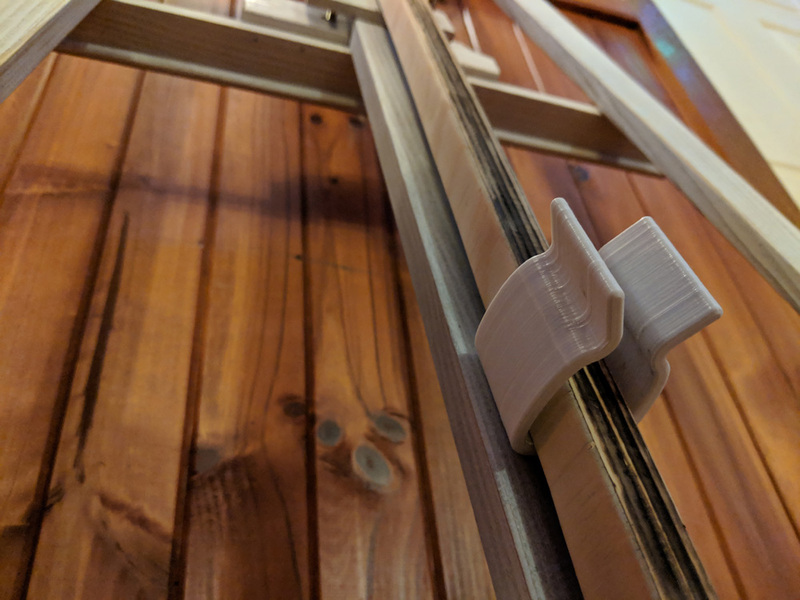 A quick web search recommended an angle of 20° for the easel, which I was able to incorporate into the design with a horizontal stop. The hinge also has counter sunk screw holes to suit the 8g wood screws I had on hand, whilst the axle has a hexagonal recess to hold the nut in place during tightening. I also incorporated a clip that would loosely hold the leg in place when not in use. This part has fairly loose tolerances to account for any variation in assembly, with a flared entry point that enables the clip to easily flex allowing the leg to lock in place. This part also has fairly thick wall sections for durability and counter sunk screw holes for mounting. For a single iteration design i’m wrapped with the result. It certainly helped that this design didn’t require a high level of precision and my previous 3D printing experience allowed me to incorporate sufficient tolerance into the initial design ensuring it worked the first time.